Teignmouth is a pleasant seaside town nestling below the Haldon Hills. It lies along a stretch of red sandstone coast on the attractive estuary of the River Teign, beneath the shadow of Dartmoor. There are panoramic views from the high ground around the town. 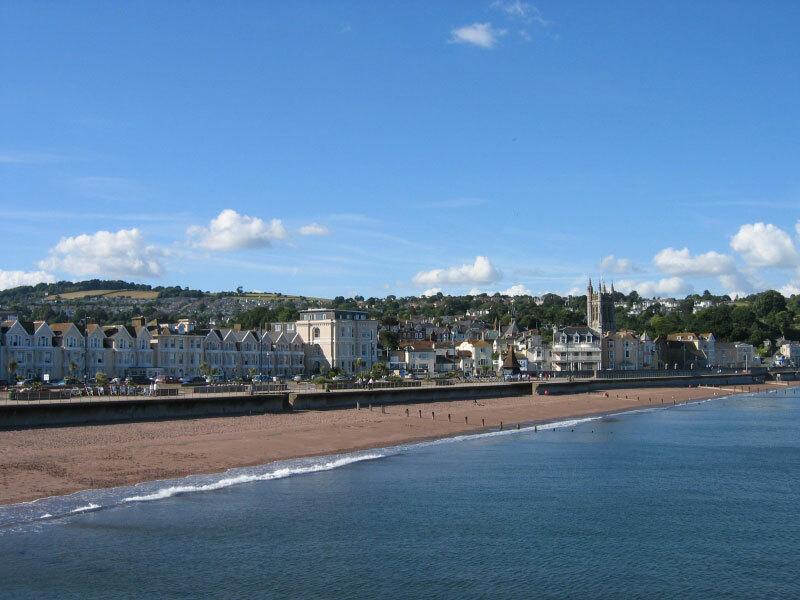 Teignmouth claims record-breaking hours of sunshine and its geographical position ensures mild weather conditions for much of the time. The town is in a convenient position for Dartmoor National Park, and within easy reach of both Exeter and Plymouth. 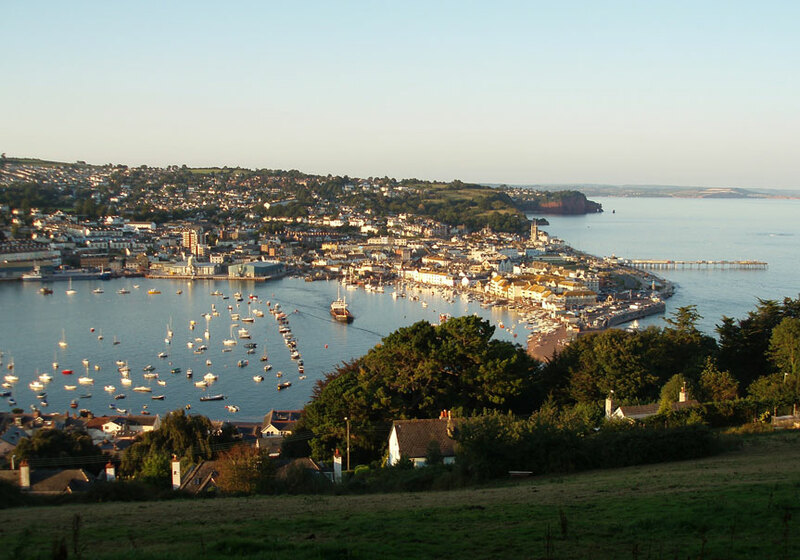 Teignmouth had suffered a devastating invasion by the French in 1690 and the town reinvented itself in the 8th and 19th centuries. 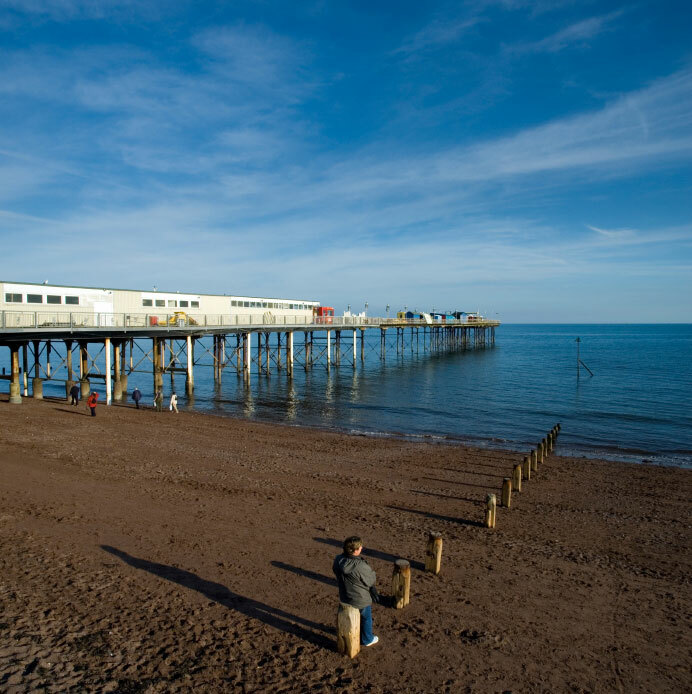 When the railway opened up the coast in the 1840s, Teignmouth became the second most popular health resort in Devon. The previous trades of salt production and fishing gave way to the demands of tourism. The 19th century saw an influx of new business and consequently a number of new buildings. Boat building was a major local industry and most commodities were brought in under sail. As local business increased so did waterway traffic. Clay and granite quarried nearby were important exports. The Quay is constructed from this granite. There were a number of air raids during the Second World War, resulting in today’s interesting mix of architectural styles. Large Victorian buildings dominate the seafront whilst Georgian cottages line the narrow streets behind. The Assembly Rooms, later to become the local cinema, were built in 1826 and a wooden toll bridge was constructed to cross the Teign at around the same time. The latter structure was replaced by a more substantial bridge in 1931. The bridge and old toll house are listed buildings. A diminutive Orangery from 1842 can be found in Bitton Park. John Keats wrote part of Endymion whilst living in what is now known as Keats House in 1818. These attractive 19th century houses were the homes of such people as marine artist Thomas Luny and Charles Babbage, father of the computer. There are several fine Regency houses in the residential part of the town. Teignmouth Museum is located on French Street and has some interesting exhibitions of local history. It also has a collection of artefacts retrieved from the wreck of one of the ships of the Spanish Armada. St James’ Church has an interesting octagonal tower constructed in 1820. Today the small resort boasts a growing colony of artists. 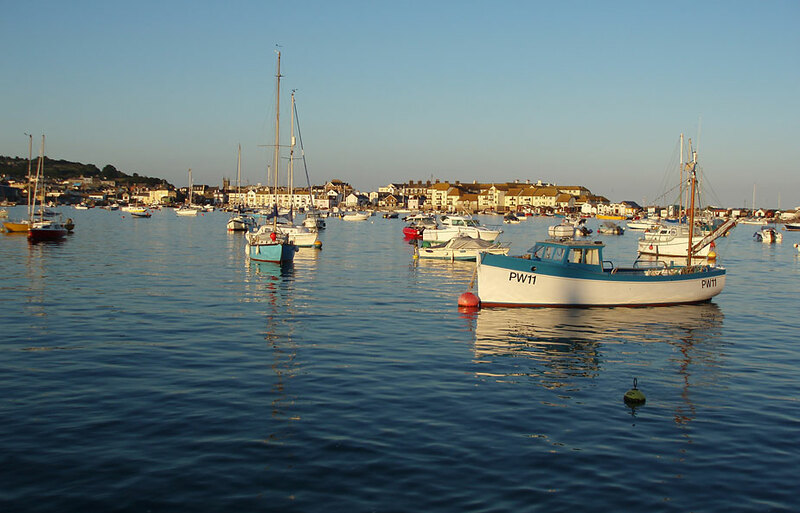 It also hosts live theatre, an annual jazz festival, a regatta and a carnival. There are lots of cycling and walking opportunities in the area in addition to many water sports. Only a few miles to the north east is the pretty resort of Dawlish, where the railway line hugs the coast offering fantastic views of the rocky shore. On the opposite bank of the Teign is Shaldon. This small town offers lovely views of the river and some impressive Regency buildings. To the north of the town is the Shaldon Wildlife Trust, a breeding centre for rare species of small animals, reptiles and birds.